I did my part by riding the Ural to work today. How about you? What’s your take on these types of awareness days? 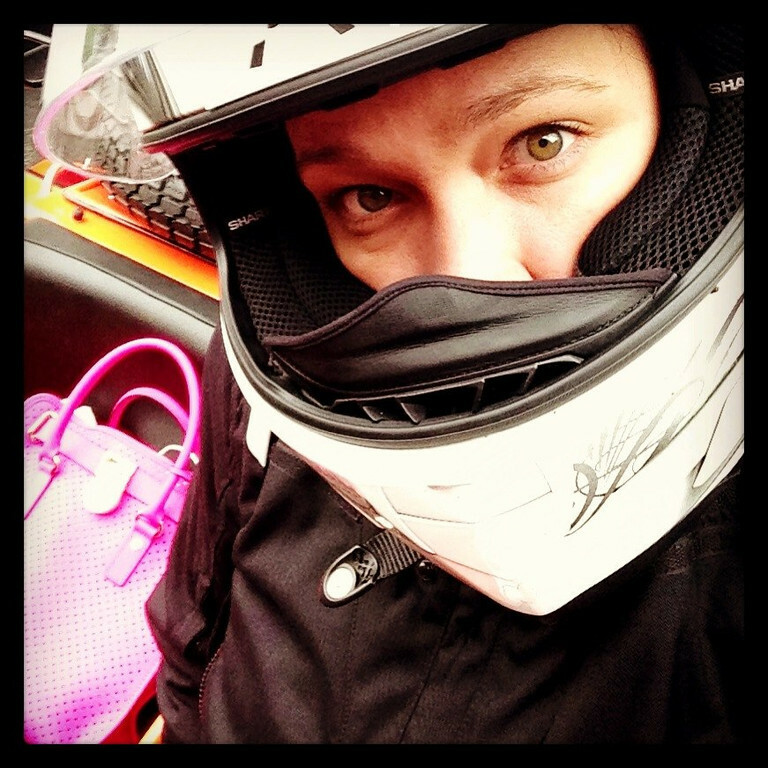 Do they make a difference -or- is it a nice theory and just another excuse to ride your motorcycle? We are a 501 c4 non-profit organization, advocating and supporting the use of motorcycles and scooters for transportation, and providing information about everyday utility riding to the public. I took my K100RT/EML rig to work today, even though I’m sore and beat up from racing Vintage Cross Country and Motocross at Unadilla this weekend. My mighty 1983 Yamaha IT490 carried me to first in class in the XC, which was a mudfest, and first in class in the MX on the legendary Unadilla track, under cloudy skies with sprinkles. Yes, yes I did. I didn’t take a picture though. I could take a picture of the giant truck towering over poor little Max in the parking lot, but it is nothing someone hasn’t seen before. I had to carry too much luggage to ride this morning but my trial settled so, after I got home, I was able to switch to the Yamaha for the trip to my office. 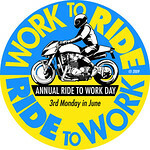 I think most awareness days don’t reach beyond the already-converted but any excuse to ride or promote riding is fine with me. I missed out this year, but it’s ok I’m gearing up for the weekend. I agree with shy that it doesn’t go much past the people already riding. But an excuse to ride is always good to have! I tend to agree. The public at large is oblivious – too busy on the phone, messing with the radio, yelling at kids in the backseat and busy with their own internal universe to have the presence of a motorcycle or motorcycles on their commute to mean anything at all other than that is one more vehicle to get around to get where they’re going.